The worldwide introduction of wind, solar power and other renewables create an increasingly flexible demand on gas fired power stations to balance the grid. To operate in a reliable, quick, modulating and start/stop regime, some improvements are necessary. To start and to stop a modern CCGT installation takes time, it cannot be done instantaneously. The gas turbine should be warmed through as well as the rest of the power plant, the HRSG, (Heat Recovery Steam Generator) downstream of the gas turbine, the interconnecting steam pipework, the steam turbine and all other balance of plant items. This all must be done as quickly as possible to limit the starting costs and to supply as soon as possible to the grid. In the European markets the driving factor is high fuel costs, reducing the need for full speed no load, however in the USA the driving factor is to reach emission values as soon as possible. For all CCGT plants the demand for being reliable and the need to be able to start the installation, to supply to the grid, is the single most important driving factor. What Is Influencing This Reliability? Primarily, the thermal stressed components of the boiler are representing a severe risk such as thermal fatigue in drums, headers, down comers and piping. 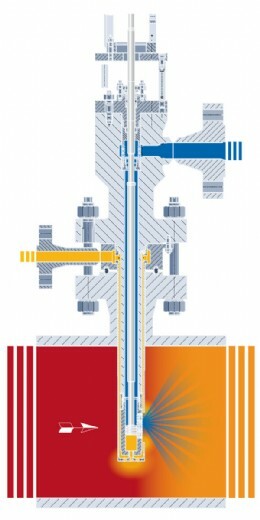 Secondary, components like the inter-stage and final attemperators, the HP and IP bypass valves, the main steam stop valve and stop check valve and the hot reheat gate valve are seeing extreme heat gradients causing thermal stresses. 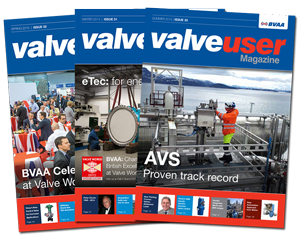 Thirdly, components such as drain valves, feed water control valves, startup blow off control valves, OTC level control valves in GT 24 and GT 26 turbine installations are also experiencing increased Flow Accelerated Corrosion (FAC) due to an increase in the flashing and cavitating conditions. Further to this, the steam turbine itself is a crucial component to ensure the run up of the unit allows for gradual and controlled heat input. Steam attemperators, steam coolers or de-super heaters main purpose is to cool super-heated steam by spraying water into the process. Multi nozzle/fixed nozzle mast type and ring style attemperators are the most common used types. The main issues to overcome for these devices is the creation of fine droplets, in combination with a wide range ability. The multi nozzle mast type attemperator provides a constant pressure drop over the nozzles in all flow conditions, guaranteeing the smallest droplet size over the full range ability (1:100). Ring style attemperators and fixed mast types have a limited range ability in which adequate sized droplets can be formed. They do not have a constant pressure drop, which is needed to create a minimum droplet size over the full range. Secondary is the thermal stress problem. Located in the hot steam flow, the attemperator body or the nozzle heads are subject to the superheated steam temperature and quickly heat up to the super-heated steam temperature. When attemperation is required, �cold� water is injected, causing thermal shock in the nozzles and valve bodies, due to the great temperature differential between cooling water and the components, which leads to unpredicted damages and emergency shut downs. The �Cooled Attemperator� is the only steam cooling device which can operate without thermal shock. A small flow of saturated steam is continuously fed into a cooling jacket around the mast, keeping the attemperator body and mast at a low temperature. This cooling steam passes over the nozzles and is then mixed up again with the main steam. AVS have installed multiple cooled attemperators across the European Market and all are working reliably and have eliminated the thermal stress problems completely.